Temperatures go Down, Temperatures go Up! When did Long Lake officially freeze over this year? 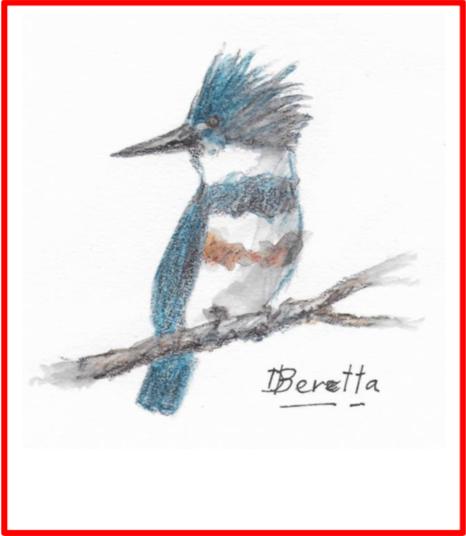 "Officially" means from shore to shore without any fissures or open areas. 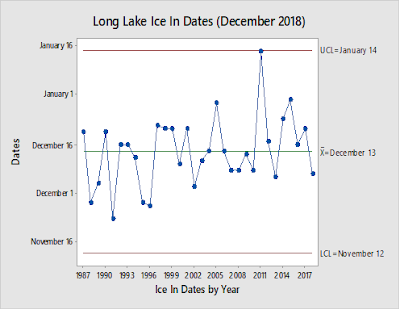 On December 7th, our association observer "corps" headed by Sharon Natzel did not report any open water and declared that Long Lake had Ice In! 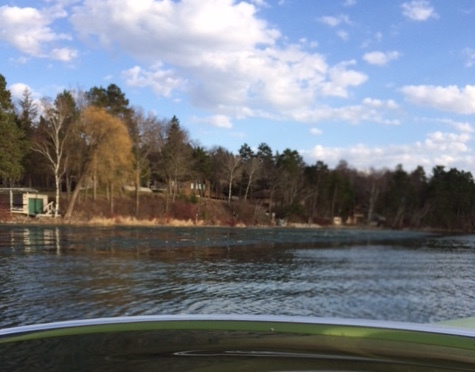 However, Mother Nature warmed things up and on 12/8 the lake opened up again where the folks on the hill, on the point, and across the lake could see open water. Temperatures soared up into the 30s for a couple of days. Eventually when it started getting colder it froze, but temperatures warmed once again. A ten foot wide and very long fissure in the lake opened up in another area that folks on the hill could see. It got bigger as it warmed more. We then had another blast of cold weather followed by another warm up. 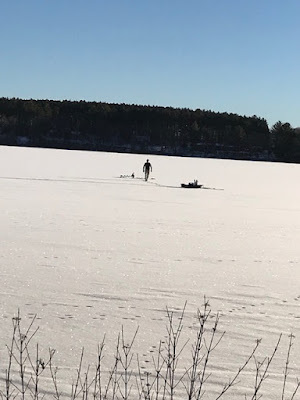 Those of us who stay all winter on the lake started to see snowmobiles, four-wheelers, ice houses, and even an occasionally car driving on the ice. We were holding our breath hoping the ice would hold. Therefore, the lake first froze all over on 12/7/18 as all spotters reported. Finally, with the cooling this week, the open area did freeze over again on the morning of 12/22/18. So we are ice-in. Donna Neumann had guessed December 7th and no one guessed the ice in would be on December 22nd. The closest to that date was Barb Kersting, with December 19th as her guess. 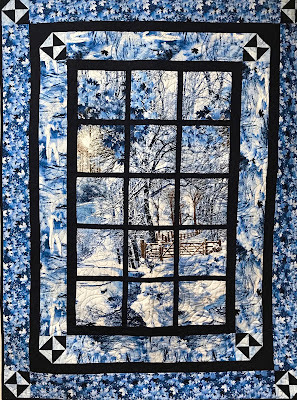 A random drawing at the annual meeting (from all entries) will determine the winner of the winter quilted wall hanging. The Hubbard County Board of Commissioners met today and DENIED the Conditional Use Permit Application for an RV Park on Long Lake. The Commissioners deliberated and asked a number of questions regarding the proposed RV Park. The applicant was at the meeting and presented a number of arguments as to why he felt the Conditional Use Permit should be granted. A number of neighbors were in attendance at the meeting and spoke in opposition of the proposal. The Board of Commissioners Meeting Minutes will be out in about a month and the exact wording will be available at that time. Four of the Commissioners voted to DENY the (CUP) Conditional Use Permit. (Note: The commissioners vote has been updated here after checking with local newspapers. The vote was misstated in the Board's original letter because hearing at these meetings can be difficult as they do not always use their microphones consistently.) 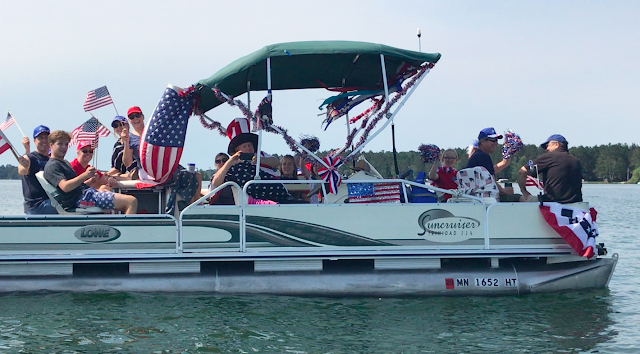 The primary reasons why they denied the CUP were the same reasons that, as a neighborhood and as a lake association, we have been concerned about this since Labor Day weekend when the entire lake became aware of the issue. 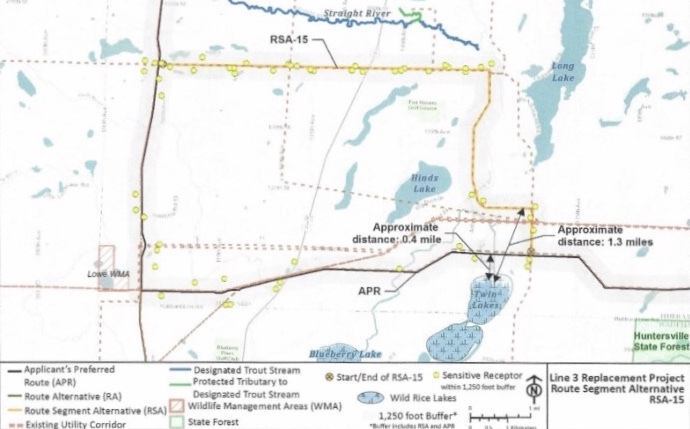 The Long Lake Area Association (Hubbard County) Inc and the neighbors are NOT opposed to commercial development on Long Lake. 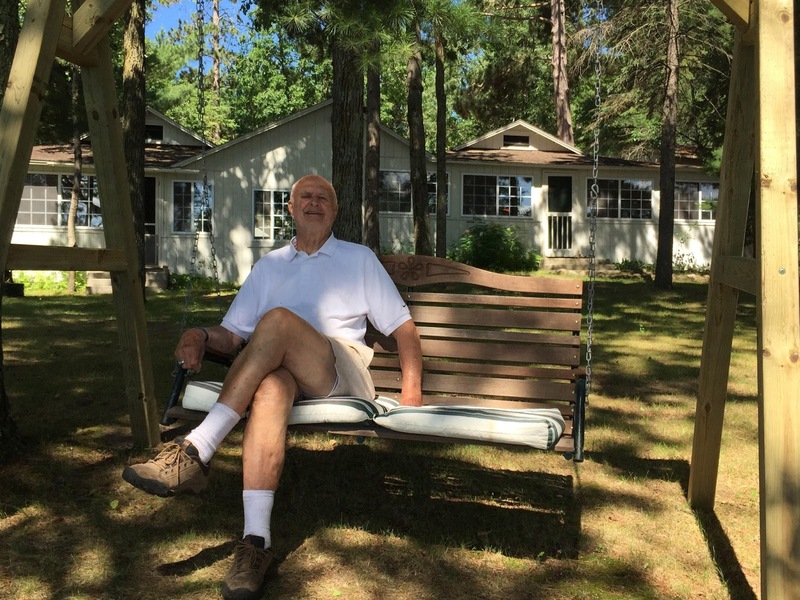 They are NOT opposed to the development of additional RV Parks on Long Lake. 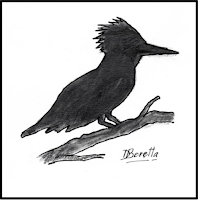 It was felt the location of the proposed RV Park, located within a residential neighborhood, on a sensitive wetland that would be harmed by additional boat traffic was not a good use of the property. The Commissioners expressed reservations about how the land would be developed and that there wasn't a clear plan of how earth would be moved, vegetation spared and the environment protected. The Commissioners expressed concern over promises made by the applicant as to how the RV Park would be developed and operated, in absence of a clear construction and operating plan, given the applicant's history of violating the Shoreline Ordinance and DNR Regulations. We want to thank ALL of you for the tremendous efforts in coming together to help the neighborhood and the lake! There were 104 people who wrote letters and emails of concern to the Board of Adjustment/Planning Commission. There were 83 people in attendance at their meeting. 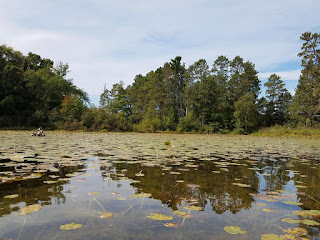 While your letters and presence at the Planning Commission meeting did not change the outcome that day, the Hubbard County Commissioners received every letter and several read them all. Many of you sent emails or called the Commissioners too. The team that met with the individual Commissioners helped. Two of the Commissioners toured the island and looked at the proposed site and the Henrietta Township roads. We know the visits, meetings, letters, phone calls and emails made an impact on our Commissioners. The issue was complex and our Commissioners take their job seriously. Jobs, economic progress and tourism are critically important to the area economy and our Commissioners are rightfully very sensitive to this issue and needed to balance that with the environmental and neighborhood impact. They did their homework, talked to neighbors, listened, asked questions, read the letters, studied data, and their reasons for denying the CUP were well thought out. Below is the letter that has just been emailed to all members on the details of a proposed RV Trailer Park on Long Lake. 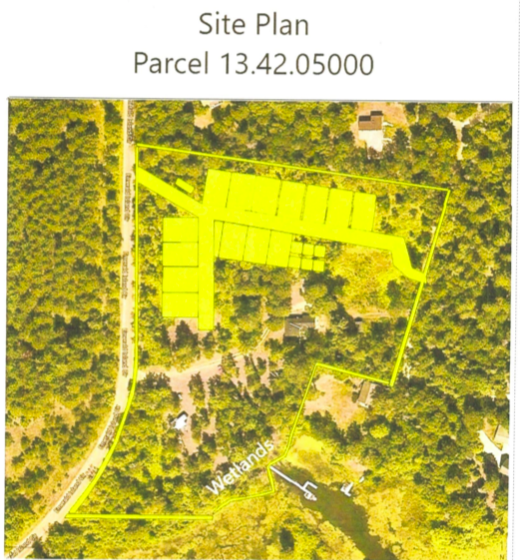 We want to inform you about applications for a Conditional Use Permit (CUP) and 5 variances to the Shoreland Ordinance (1 is an after-the-fact) that are being requested by a Long Lake property owner to build and operate a high density RV park on the northwest shore of Long Lake in the shallow bay on the north side of Pine Island (an area identified by the DNR as a public water wetland). 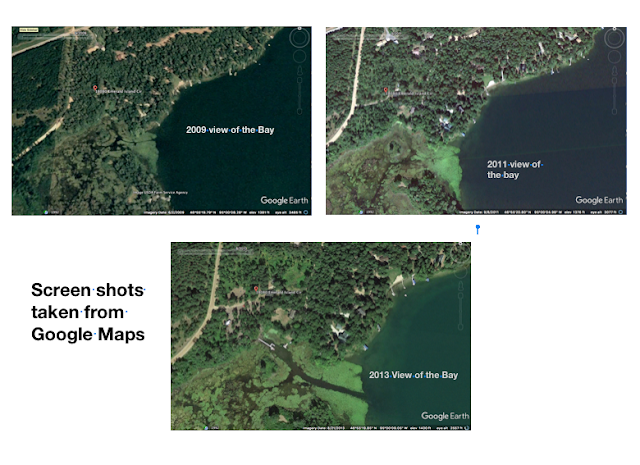 The address is 18080 Emerald Island Circle, Hubbard County Parcel ID: 13.42.05000. 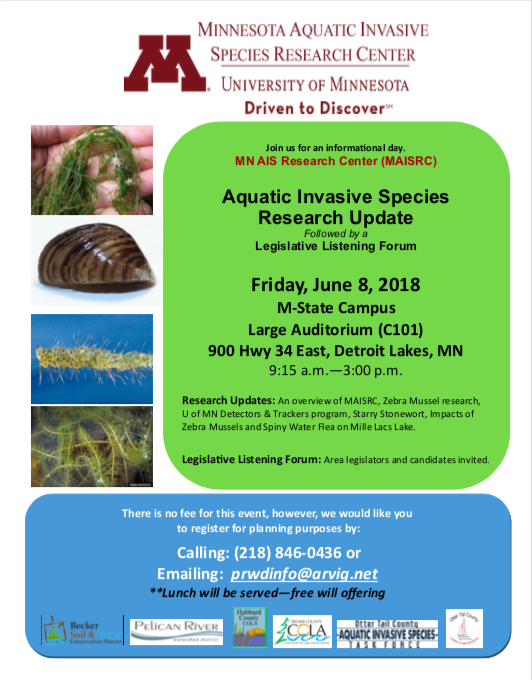 This summer the Christmas Lake Association is testing to see if a weevil native to Minnesota can be used to eat and control Eurasian water-milfoil. 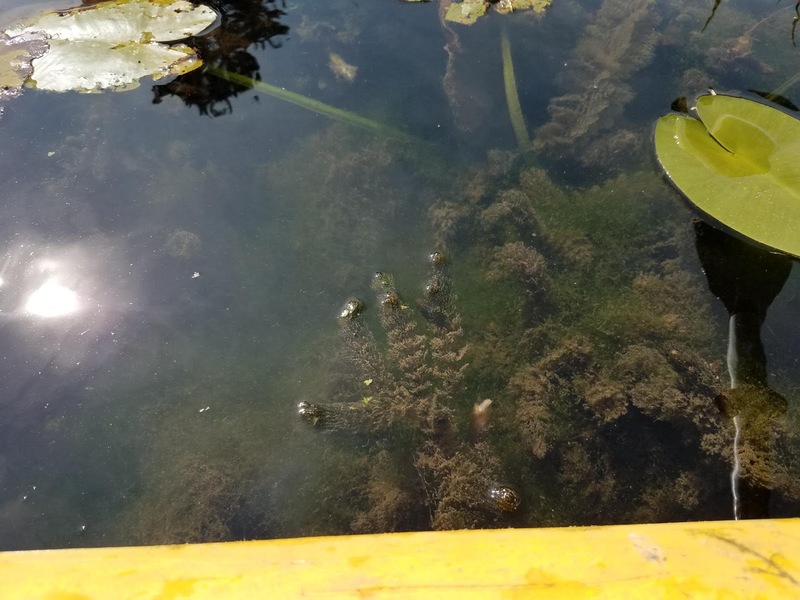 Lake Associations struggle with fundraising, and often face huge lake treatment bills for problems like Eurasian water-milfoil, etc. Lake Association leaders fear that their membership is aging and they are searching for ways to engage younger members. 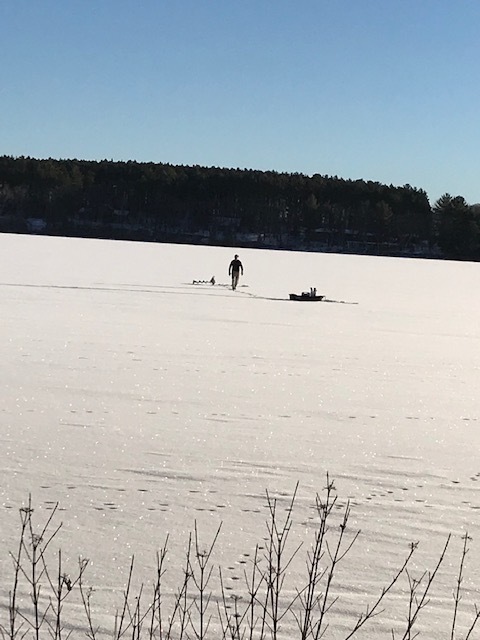 Yesterday, I, along with other lake association leaders, DNR personnel, and MAISRC, toured a pilot project on Christmas Lake that could provide a solution strategy for both of these issues. The pilot is based on research by Dr. Sallie Sheldon, Middlebury College, VT. She has developed a process to catch native weevils out of a lake, raise them on the invasive Eurasian water-milfoil, and then release these weevils back into the lake to achieve some control of the invasive and costly plant. 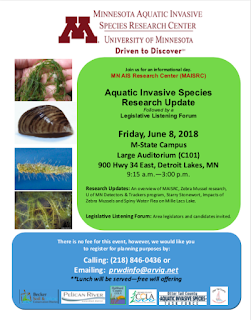 Dr. Sheldon was a speaker at the Aquatic Invaders Summit held last winter sponsored by Minnesota Lakes and Rivers Advocates, (MLR). MLR has been working with Dr. Sheldon and Paul Hamilton, Norway Lake Association, and a Minnesota science teacher, to develop a way to package Dr. Sheldon's work and a curriculum so that lake associations can partner with local school or youth groups to engage youth in water related science while working to control milfoil, all at a lower cost than traditional management strategies. Science is a key value for MLR. As the land of 10,000 lakes, we believe that Minnesota should have the most rigorous and engaging water sciences programs in the country and that they should begin in grade school. Anytime we can achieve control of an invasive species without impacting the native plants, that is a win. If we can do that at a lower cost, that is a win win. If we can do it while engaging a new generation in lake advocacy, that is a WIN WIN WIN. The forecast with its potential for thunderstorms has cancelled our Flotilla today. Have a safe and fun 4th of July. Good Reasons to Use those Life Jackets. Few people plan to fall overboard. When someone ends up in the water who didn't expect to be there, a life jacket can provide some valuable time in adjusting to the shock. *Most people thrash around when panicked; a life jacket helps the user right himself and keep the head above water. The above information is quoted from an article on the "How Stuff Works" website. The annual Long Lake 4th of July Flotilla will be held this Wednesday, weather permitting. We will gather at New Frontier Resort on the West side of the lake by 9:50am. 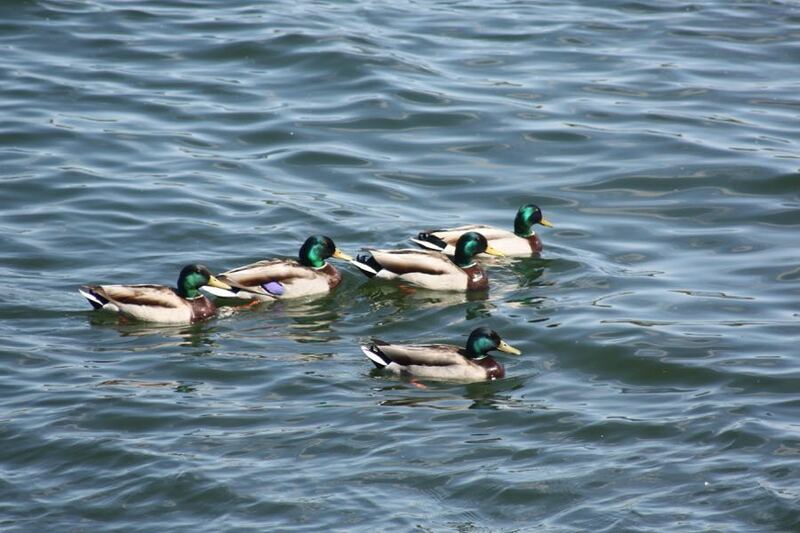 Follow the North or South Leaders as they lead off the two branches of the flotilla at 10am. 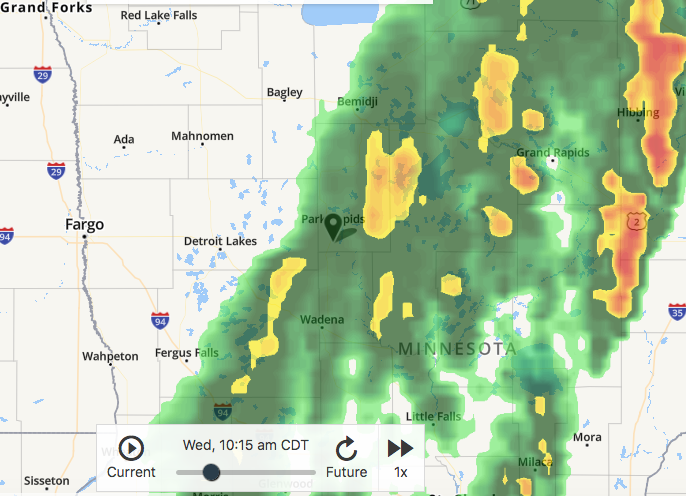 If there is inclement weather (high winds, rain, thunderstorms) at 9am on that day, the Flotilla will be cancelled. Join us in Celebrating the 4th! Thank you to all who attended the annual meeting on Saturday. We had 90 in attendance. 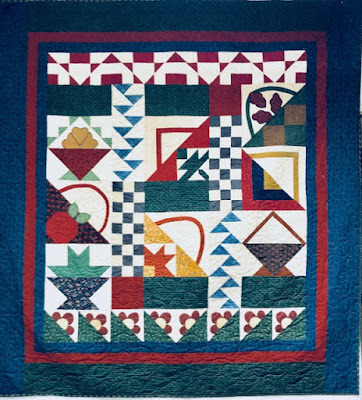 For those of you who were unable to attend, please send your membership dues for $25 for this fiscal year (July 1, 2018 - June 30, 2019) to LLAA, P.O. Box 808, Park Rapids, MN 56470. 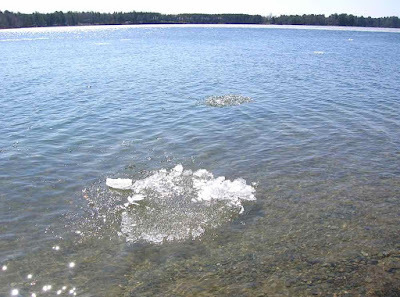 Long Lake, 5/4/18, with a small bit of ice left by Sharon Natzel. We have word from the variety of spotters around the lake that the last small patch of ice still floating (seen this morning) has now melted with today's wind and warm temperatures. There is no ice evident this afternoon. 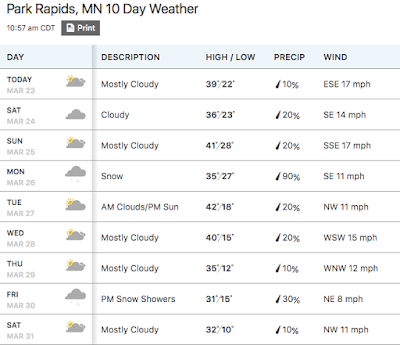 Therefore the official Ice Out date for Long Lake is 5/5/18. Sharon will be reporting the information to the government ice-tracking sites and our Ice statistics team. 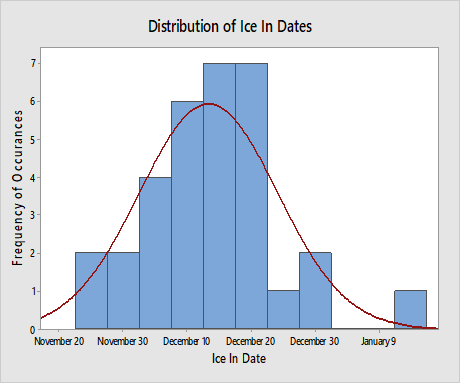 We update our ice data page when the stats are completed. Ninety-one people sent in guesses as to the date of Ice Out this year! 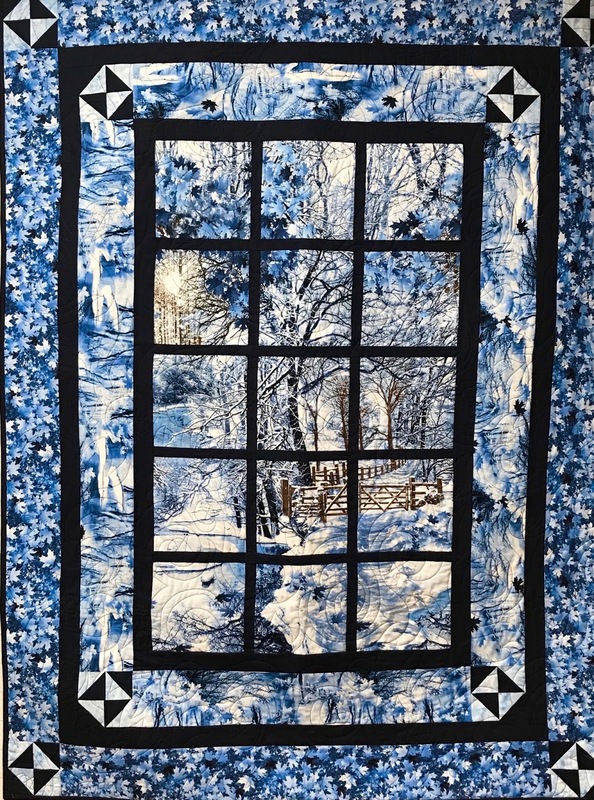 Everyone is part of a random drawing for the prize quilt, with the winner being announced at our annual meeting on June 30th at the Hubbard Township hall. 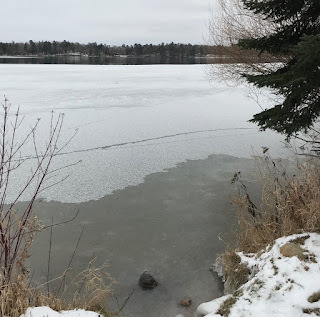 Photo by Linda Johnson of a previous ice out in progress. There were 2 guesses for Ice Out to be on May 5th. Congratulations to Randy Williams and Pete & Carol Click. They won the 2018 bragging rights to being the best prognosticators. 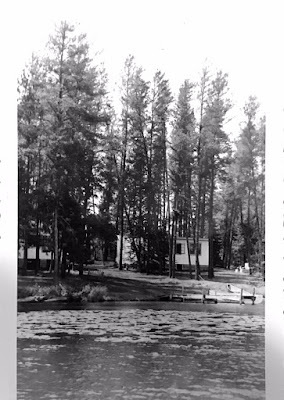 I found a couple of old post cards that my grandparents, Harold and Delpha White, had made for the resort they ran on Long Lake from late 1940s until 1967. 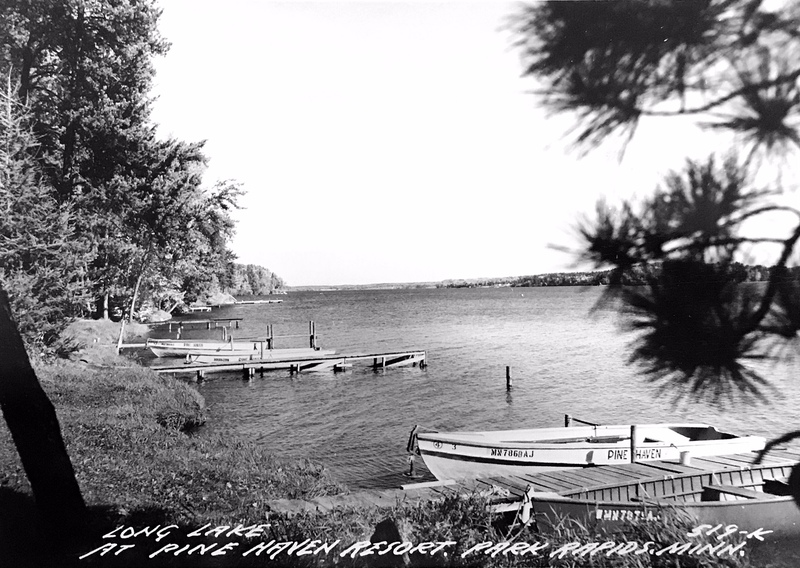 It was called Pine Haven Resort and was located on the north end of Chippewa Loop..(then named Chippewa Drive). The resort had 4 cabins for rent and mostly they were rented by the same families during the same part of the summer each year. My grandparents also had a small store to sell eggs, milk, ice cream, pop candy etc. They also had a gas pump with an oil tank so that people could buy gas & oil for their outboard motors. The one thing most of the "old time residents" remember is the ice house. 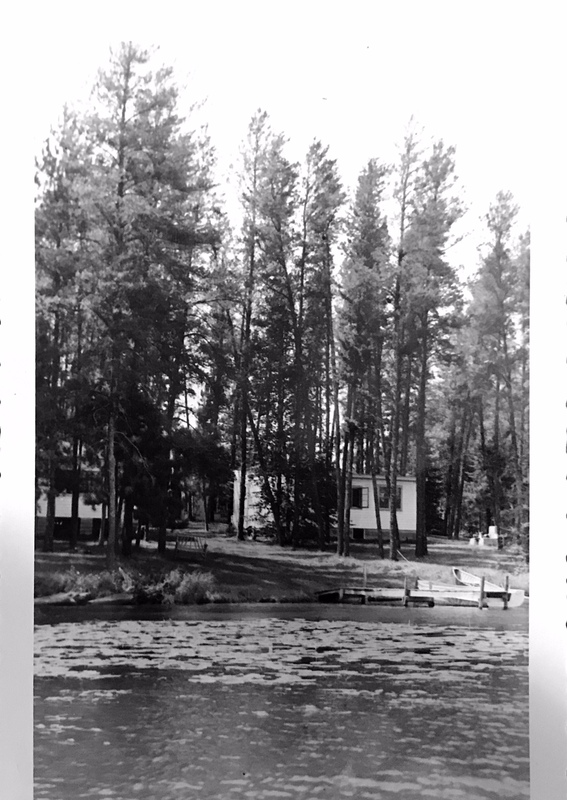 My grandfather harvested ice from Long Lake and stored it in an open building packed with sawdust. The ice would last until Labor Day. 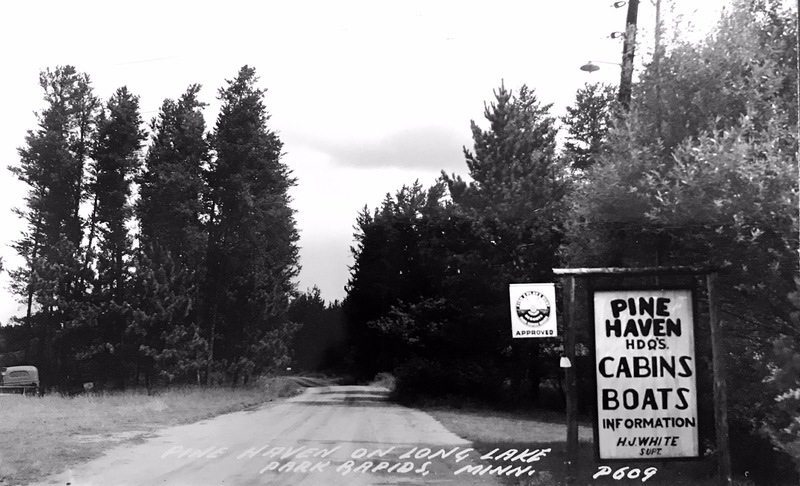 Until 1955 we ran an ice route that delivered blocks of ice to many of the cabins along Chippewa Loop and Beach Haven. After 1955 people could still come to buy blocks of ice but they didn't deliver them any more. Have you been recording your catch for the Adult Fishing Challenge? Winter is almost done. Did you go ice fishing? 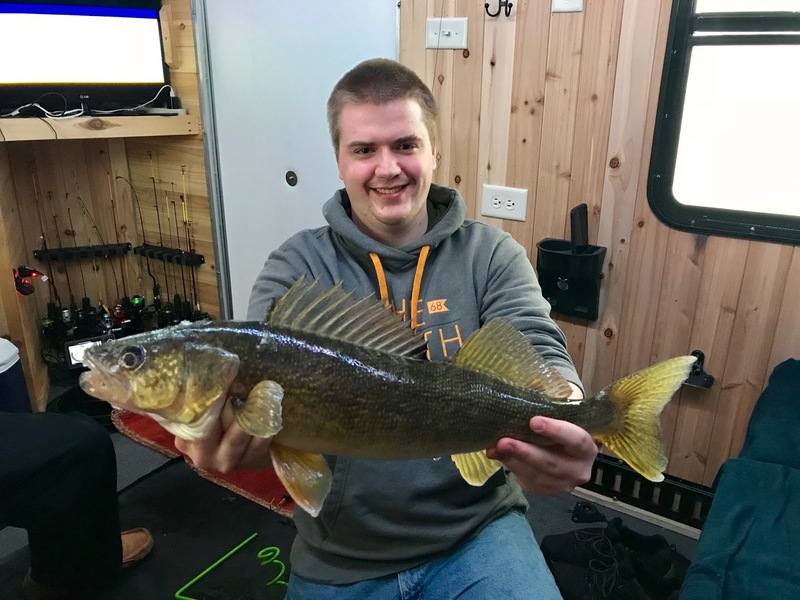 Catch any big ones on Long Lake? 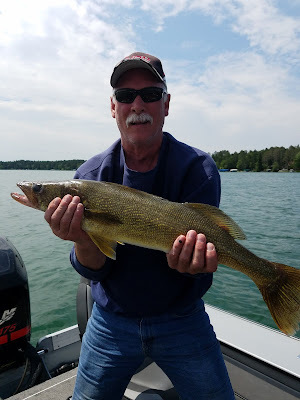 You should print off the entry form for the Long Lake Association Adult fishing Challenge. Record the length of that great fish before you forget. 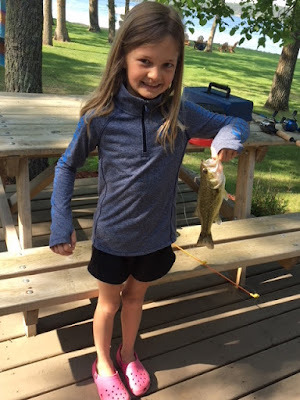 Show off your skill by catching a "big one" of each species. Follow all MN Fishing Regulations! One Entry per Person ages 16 and above. It is not necessary to include a length for each fish listed, but we encourage everyone to try and catch at least one from each species. Top 3 totals will be awarded prizes ($25, $15, $5) at the 2018 Annual Meeting and you do not need to be present to win. Winners will be notified by email and information posted on the website. 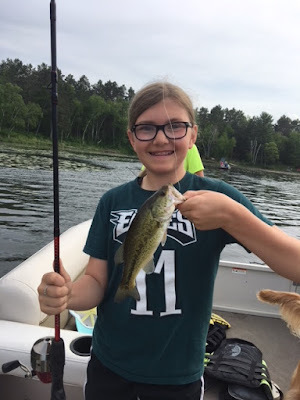 Photos are not necessary for this challenge, but we all like seeing fishing pictures and hearing fish stories, so please send them along at any time to longlakeliving@gmail.com for posting on www.longlakeliving.org and Facebook. 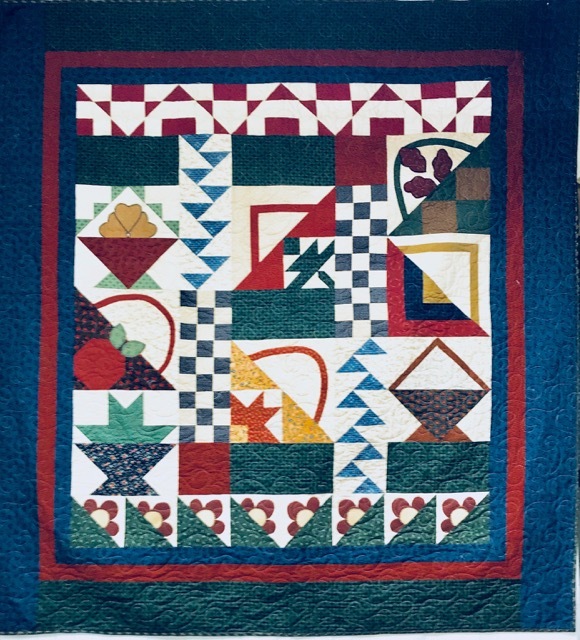 Find out how to send your entry by clicking here. Did you know that it takes about 4 years for water to flow through Long Lake? We need to be vigilant by checking the water year by year. Our team of volunteers has been sampling the water for the last 20 years to monitor any accumulation or trends. Our association has been paying RMB Environmental Laboratories to analyze the samples. Their 20 year report is given on our web page: Water Quality Data and at this link: Full Water Quality Report. Run-off into the lake increases phosphorus, which increases algae growth. 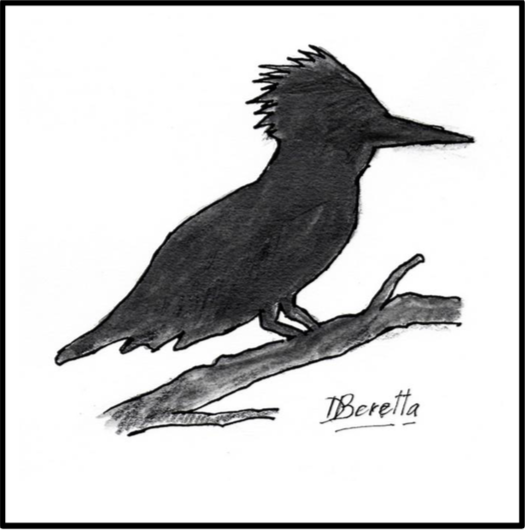 Limiting agricultural run-off by wetland restoration, shoreline buffers, and forest cover. 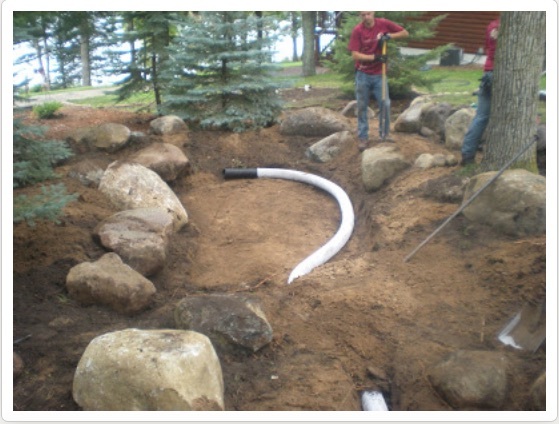 Installing conservation easements and aquatic management areas in new developments. 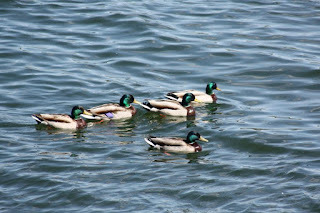 Let’s all be proactive to preserve our lake. We are grateful to all the sampling teams over the last 20 years, including our current samplers Al and Patti Kiecker along with Sharon Natzel. 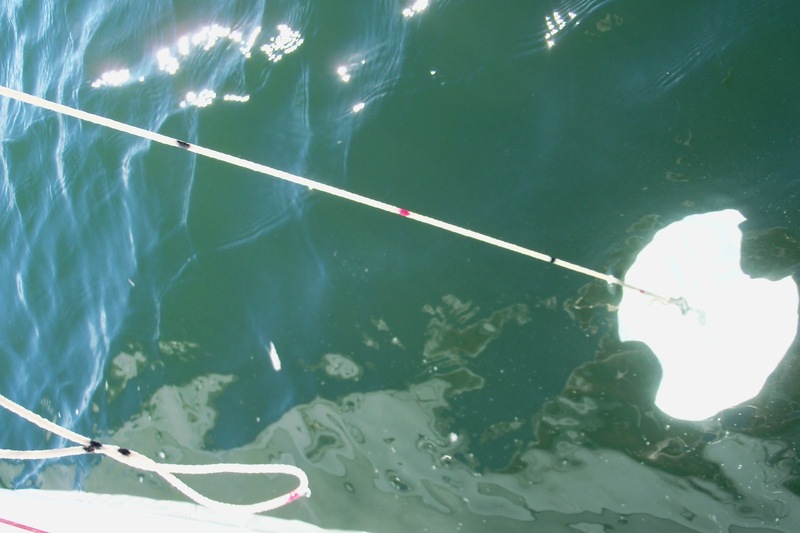 The sampling has enabled phosphorus, nitrogen, chlorophyll, chloride, alkalinity, dissolved oxygen, conductance, suspended solids, transparency, and color to be tracked. This news item is brought to you by the Long Lake Area Association.